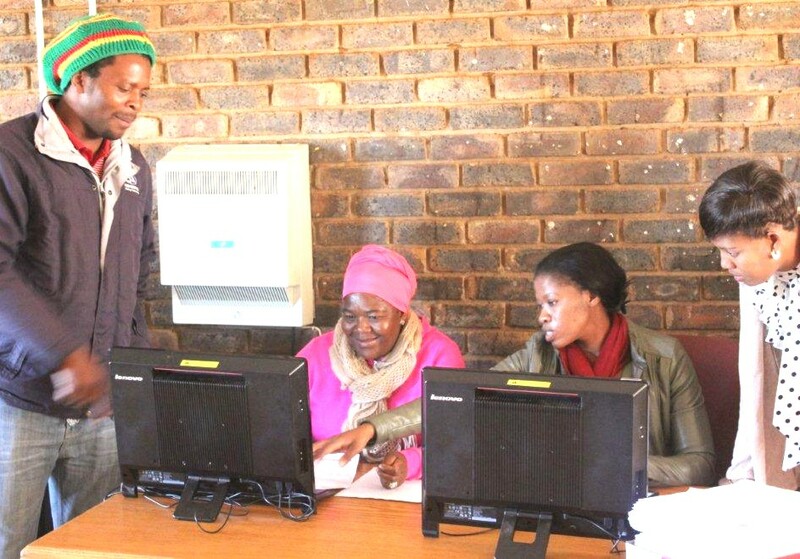 Mr Thabo Mogapi, a resident of Northam paying for his services at Northam TLC offices, he is assisted by TLM officials, Pauline Chirwa, Tebogo Kibinyane and Moipone Pholoba during debt collection campaign. Thabazimbi – Thabazimbi Local Municipality has raised concern at the high rate of non payments of rates and taxes by residents of the Municipality. The municipality is owed millions by its residents and some businesses according to the Mayor, Cllr Patricia Mosito; the municipality is still continuing to provide services to destitute residents, high number of informal settlements and to those who are not indigents anymore. The situation is negatively affecting the municipality’s revenue. Mosito said the Municipality is currently embarking in public participation meetings, which seek to encourage residents to pay their rates and services and also registering indigents. We further made an appeal to all indigents to notify the municipality when they get employed. Mosito added the municipality needs to increase its revenue to effectively render services to communities. Mosito also urged the public to attend the public participation programmes, so that they contribute to the debates on how the municipality can render basic services to its people.